On an 1870 cover of Harper's Weekly, President Ulysses S. Grant is shown greeting the Oglala Chief Red Cloud who came to visit him in Washington, D.C. Courtesy of the Library of Congress. The man elected president in 1868—Ulysses S. Grant—was determined to change the way many of his fellow Americans understood citizenship. As he saw it, anyone could become an American, not just people like himself who could trace their ancestry back eight generations to Puritan New England. Grant maintained that the millions of Catholic and Jewish immigrants pouring into the country should be welcomed as American citizens, as should the men, women, and children just set free from slavery during the Civil War. And, at a time when many in the press and public alike called for the extermination of the Indians, he believed every Indian from every tribe should be made a citizen of the United States, too. Grant was sworn into office as president in 1869, and set forth his vision in his first inaugural address. Calling American Indians the “original occupants of the land,” he promised to pursue any course of action that would lead to their “ultimate citizenship.” It was not an idle promise. In the spring of 1865, he had been appointed the nation’s first General of the Army, a post that involved overseeing all the armies of the United States—including in the West, where conflicts with native tribes had raged throughout the Civil War. In this position, Grant had relied on his good friend and military secretary, Ely S. Parker, a member of the Seneca tribe, for advice. Now, as the newly inaugurated president of the United States, he was ready to implement his plans for the Indians, with Parker at his side as his Commissioner of Indian Affairs. Parker and Grant’s friendship began in 1860, when Parker was working at the time as an engineer for the Treasury Department in Galena, Illinois, and often visited a leather goods store, where the proprietor’s son, Ulysses, worked as a clerk. Ulysses Grant had developed a deep sympathy for the Indians while serving in the army during the Mexican War. Later, on active duty in California and the Columbia River Valley, he saw firsthand the misery that Indians endured in his own nation. Grant never bought into the popular notion that Americans wanted to improve the lives of the native peoples, noting that civilization had brought only two things to the Indians: whiskey and smallpox. By the time he met Parker, though, Grant was considered a failure. His heavy drinking had helped to end his military career, and now, as a grown man with a wife and four children to support, he was reduced to working for his father. But Parker recognized a kindred spirit. Unlike most white men, who prided themselves on being outgoing, even boisterous, Grant was quiet—so reserved that he usually headed for the store’s back room to avoid talking to customers. Only after Grant got to know a person well did he reveal his kindness and his intelligence. This was just how Parker had been taught to behave when growing up on his people’s reserve in Tonawanda, New York. Men were to remain stoic in public, and to open their hearts to friends only in private. Calling American Indians the “original occupants of the land,” he promised to pursue any course of action that would lead to their “ultimate citizenship.” It was not an idle promise. That President Grant chose Ely Parker as his Commissioner of Indian Affairs was no surprise to anyone who knew Parker. A descendant of the renowned Seneca chiefs Red Jacket and Handsome Lake, he had been marked for greatness even before birth, when his pregnant mother had dreamt of a rainbow stretching from Tonawanda to the farm of the tribe’s Indian agent, which, according to the tribe’s dream interpreters, meant that her child would be a peacemaker between his people and the whites. Parker mastered English in local academies, both on and off the Tonawanda Reserve, and became an avid reader. In 1846, when just 18 years old, he became the official spokesman of his people, who were fighting the U.S. government’s efforts to remove them from Tonawanda. He soon traveled with the tribe’s leaders to Washington, where he impressed the nation’s top politicians, including President James K. Polk. It would take 11 more years of negotiating with the government for Parker to win the right of his people to stay in their ancestral home. During those years, he studied law and even helped argue a case in the Supreme Court on behalf of his tribe, but he was unable to take the bar exam because he was an Indian, so he became an engineer instead. He was overseeing the construction of a customhouse and marine hospital in Galena when he met Ulysses Grant. When the Civil War broke out, Parker returned to New York and tried unsuccessfully to enlist in the Union Army. Finally, with the help of his friend Grant, who was no longer a failure, but instead a renowned general on the brink of defeating the Confederates at Vicksburg, Parker won an appointment as a military secretary. He first served General John Smith and later Grant himself. From Chattanooga to Appomattox, Parker always could be seen at Grant’s side, usually carrying a stack of papers and with an ink bottle tied to a button on his coat. When Lee finally surrendered, it was Ely Parker who wrote down the terms. The friendship between Grant and Parker strengthened after Grant was appointed General of the Army, a position he held from 1865 to 1869. During these years, Grant often sent Parker, now an adjutant general, to meet with tribes in the Indian Territory and farther west in Montana and Wyoming. Parker listened as tribal leaders described how their country was being overrun by miners, cattlemen, railroad workers, farmers, immigrants from Europe, and freedmen from the South. Parker reported everything back to Grant and together they worked out the details of a policy with the main goal of citizenship for the Indians. The army would protect Indians on their reservations as they transitioned from their old ways and entered the mainstream of American life, learning how to support themselves through new livelihoods like farming or ranching. It might take a generation or two, but eventually Indians would be able to vote, own businesses, and rely on the protections guaranteed to them in the Constitution. As president, Grant made Parker his Commissioner of Indian Affairs, and Parker began working to implement the president’s plans, appointing dozens of army officers to oversee the superintendencies, agencies, and reservations in the West. Grant and Parker were so certain of the wisdom of their policy that they failed to see how many people opposed it. Congressmen, who had previously rewarded their supporters with jobs in the Indian service, resented the fact that Grant had taken away these plum positions. 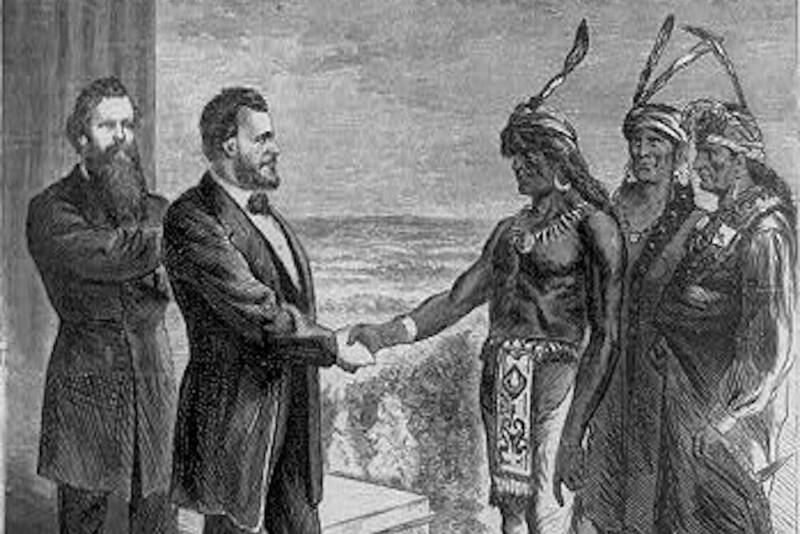 Many Americans, especially in the West, complained that the president sided with the Indians rather than with his own countrymen. Reformers, who wanted the government to impose radical changes on the Indians, doing away with tribal identity and dividing reservations among individual property owners, criticized Grant and Parker for allowing the Indians to make changes at their own pace. Tribes that had not yet been brought onto reservations vowed to fight any attempt by the army to do so. Tribes in the Indian Territory, especially the Cherokee, wanted to remain independent nations. 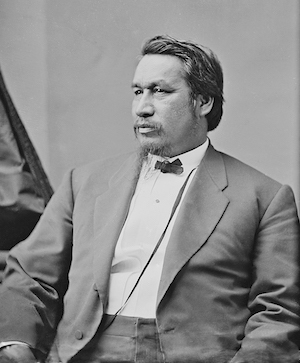 Ely S. Parker, the Seneca attorney, engineer, and tribal diplomat, as photographed by Civil War photographer Mathew Brady. Courtesy of the National Archives. But no one opposed Grant’s policy as strongly as the Board of Indian Commissioners, a 10-man committee of wealthy Americans that Grant had appointed as part of his new Indian policy. Grant had expected the board to audit the Indian service, but the board demanded instead to run it. The board wholeheartedly supported the efforts of Congress to overturn Grant’s Indian policy. The first step came in the summer of 1870 when Congress banned active duty military personnel from serving in government posts—primarily, Grant believed, so that Congressmen could appoint their supporters instead. To counteract this move and prevent the Indian service from sliding back into the corruption of political patronage, the president appointed missionaries to run the reservations. Grant was still determined to win American citizenship for every Indian, and he hoped that the missionaries would guide them along the path toward it. But the Board of Indian Commissioners remained just as determined to oppose Grant. William Welsh, the board’s first chairman, believed the president’s policy could be overturned by toppling the “savage” who stood at its center, Ely Parker. Welsh was infuriated that a man like Parker could hold such a high position. He was also appalled that Parker had married a young white woman, Minnie Sackett, and that the couple was the toast of Washington society. To take down Parker, Welsh accused him of negotiating a bloated million-dollar contract to supply the Sioux in the summer of 1870 and pocketing most of the money himself. Welsh demanded that Congress investigate Parker and hand over the management of the Indian service to the Board of Indian Commissioners. Congress obliged, forcing Parker to submit to a public trial before a committee of the House of Representatives. Although Parker was ultimately exonerated, Congress passed legislation recognizing the members of the Board of Indian Commissioners as the supervisors of the Indian service. Humiliated and with no real power, Parker resigned his position as the Commissioner of Indian Affairs in 1871. Without an ally like Parker at his side, Grant watched his plans for the Indians come undone. A succession of Commissioners of Indian Affairs replaced Parker, but none had his vision. Before long, Grant ordered the army, which he had once hoped would protect the Indians, to fight against the tribes in a series of bloody wars, including the Modoc War in 1873, the Red River War in 1874, and the Great Sioux War in 1876. By the time Grant left office in 1877, his “peace policy,” as the press had nicknamed it, was judged a failure by all. Since then, Grant has been remembered as a “circumstantial” reformer, at best, or as the clueless tool of wealthy men like Welsh, at worst. His accomplished friend Ely Parker has been wrongly dismissed as little more than a token. Americans would not realize until the 20th century that the vision of the two friends had been correct. 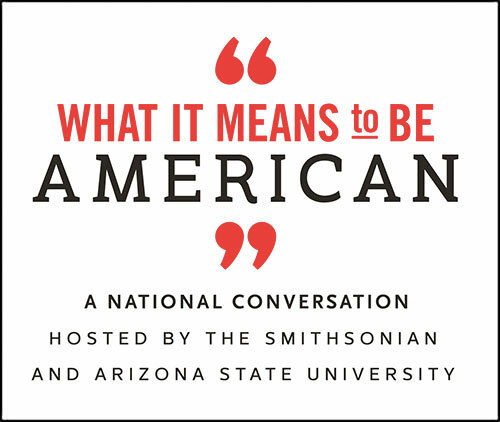 In 1924, Congress granted citizenship to all American Indians who had not already achieved it. Sadly, the friendship between Parker and the president came undone along with Grant’s Indian policy. After resigning his post in 1871 and moving away from Washington, Parker saw Grant only twice more. When the former president lay dying in the summer of 1885, Parker came to visit him, but Grant’s oldest son Fred always turned him away. While Grant never reflected on the failure of his policy, Parker always regretted that the plans he had made with his quiet friend from the leather goods store in Galena had ended so badly. Mary Stockwell is a writer in Ohio. She is the author of Interrupted Odyssey: Ulysses S. Grant and the American Indians.